I was invited to go elk hunting in the Kootenays last year and I had never been before, so I passed up my annual moose hunt and off I went. 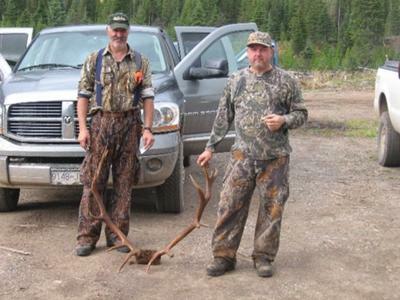 That time of year in the Kootenays the season was for 6 point only. I got my first elk, we were lucky enough to shoot two of them on the trip; we also seen 26 legal bulls but man are they tough to get! They hang out on these mountain slides and you get up at 3 am and start hiking in so you are up there before day break. After the shot and the animals are field dressed, everything comes out on back-boards; it's a tough hunt but totally worth it! These animals have the sense and stealth of a whitetail and the eyesight of a mountain sheep. They are a real challenge and the scenery in the Rockies is outstanding. 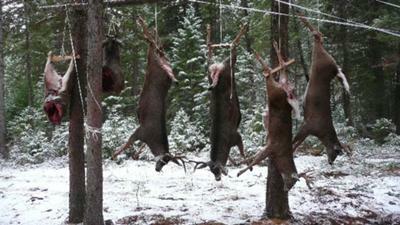 Check out the attached pictures of the elk trip and then the very successful deer hunting trip in November. Thanks for sharing your story. I haven't hunted elk myself for many years, but I do remember the country they live in... Absolutely Stunning! Elk inhabit the most beautiful country in BC. Even on days when no elk are to be found, the scenery is almost always breathtaking. Then when you do find the elk... well that just makes the day doesn't it? It always seemed to me that elk live in (at least in the Rockies) the most inhospitable areas that are hard to reach hold lots of grizzly bears. 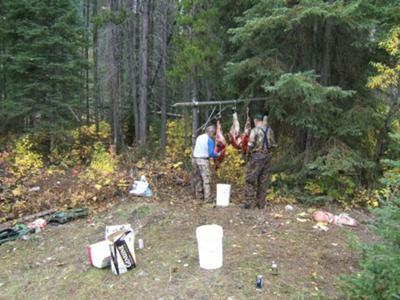 As I recall the last elk hunt in the Kootenays that I was on, we bumped into three grizzlies in one day. After that we decided to move after that and leave that particular ridge to the bears. 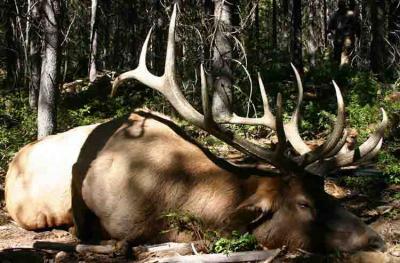 Elk hunting is very rewarding to those who put in the effort. Like sheep hunting, the hunter must put many miles on the boots and much strain on the back if he wishes to be successful. Now, we all know that a successful hunt does not always end in a kill (it's nice though), a successful elk hunt depends is measured by the individual. Your success may be measured differently than mine. The important thing is to get out there... enjoy the mountains... pursue your quarry... and have the time of your life!